WCNE’s multi-media whale exhibit offers a blend of art and science where magnificent creatures are seen in their threatened habitat. We are currently in the process of reinvigorating our vibrant educational infrastructure and supporters who were with us for 32 years as well as our relationships with commercial whale watching groups and other collaborative entities. 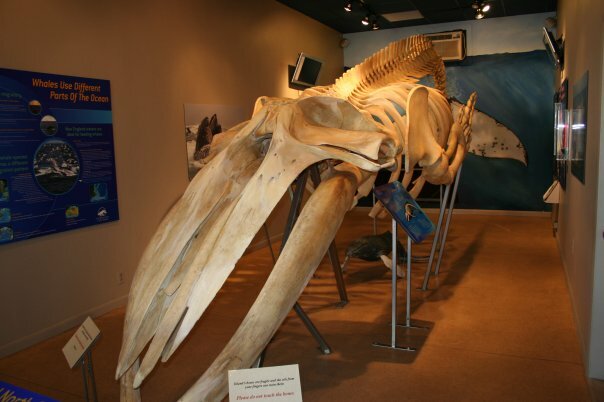 The Whale Center of New England, well-known for its collection of 31 years of data in waters South of the Gulf of Maine, has had a major impact upon conservation, issues surrounding entanglement and ship strike. After a period of inactivity, we will be resuming data collection to replace a 4 year gap in research data. Our plan is to update the exhibit area with audio-visual media that will not only enhance the experience, but also increase its accessibility and accommodate a broader range of visitors. We hope to create a self-teaching milieu that will serve to educate all visitors and whalewatchers about these critters in their natural environment and give insight into the current research that helps us to understand them, to protect them and to ultimately, preserve them.